Why so many of us are making room on our counter tops for an Instant Pot. We've been talking a lot about Instant Pots these days, and there's good reason for that — all of y'all are also talking about Instant Pots a lot. It seems that everyone (and their aunts, uncles, best friends and parents) has one of these electric pressure cookers hanging out on their counters, and they're using them to make everything from chili to spinach-artichoke dip. But what even is an Instant Pot? And how does it take a big hunk of chuck roast and break it down into gloriously tender, gelatin-rich stew in less than an hour? The answers, of course, come down to science. No matter if you're working with an Instant Pot or your grandmother's stovetop pressure canner, pressure cooking always works the same way. All pressure cookers are, at their core, a metal pot with a locking, airtight lid outfitted with a pressure regulator and release valve. When the lid is locked in place, steam can only be released through that valve. The ability to trap steam is what makes a pressure cooker work. When you're boiling water in a non-sealed system (basically, any other cooking method), the water can never get hotter than its boiling point (100 degrees Celsius or 212 degrees Fahrenheit). This means that foods containing water or cooked in water (in other words, most things) cannot ever reach temperatures above the boiling point of water until that water completely evaporates. 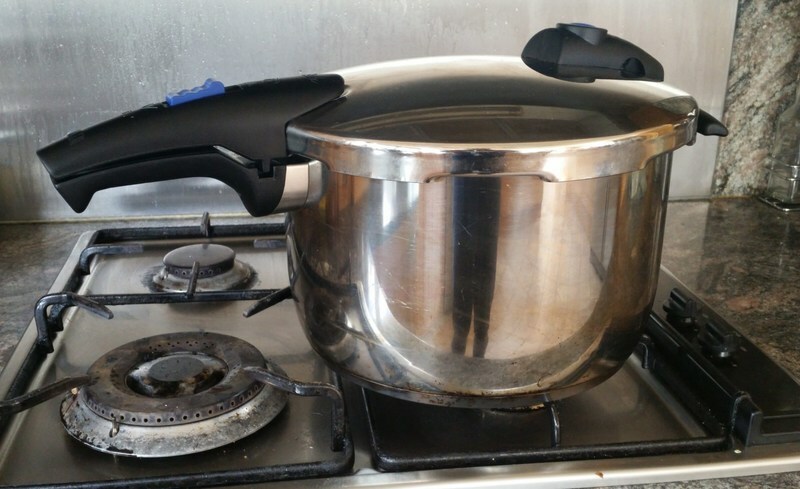 In a fully closed system, such as a pressure cooker, however, the evaporating steam from the boiling water is trapped and increases the pressure in the device. This, in turn, raises the boiling point of the water inside the cooker, increasing it upwards of 250 degrees Fahrenheit. The pressure gauge and release valve on all pressure cookers will determine that upper temperature threshold by releasing pressure, measured in pounds per square inch (psi), once it gets to a certain point. On most pressure cookers today, you'll see that expressed as a "low" pressure setting (usually about 10 psi, which reaches 235 degrees) and a "high" pressure setting (usually 15 psi, which reaches 250 degrees). What all of this means is that foods cooked under pressure, and therefore at higher temperatures, can be rendered tender in a fraction of the time of traditional stovetop and oven cooking methods. 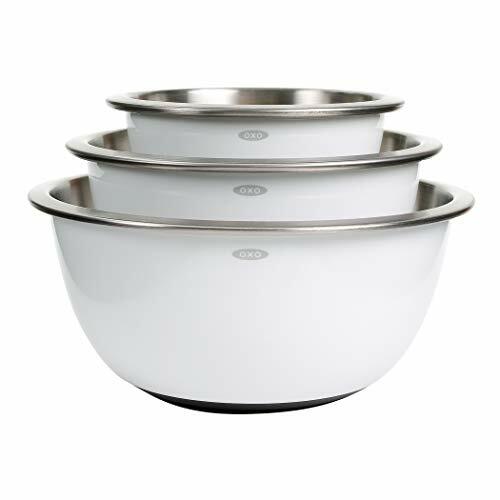 A French physicist, Denis Papin, invented the first pressurized cooking pot in the 17th century. It was, in its essence, a sealed pot that trapped steam with a tight-sealing lid. He added a steam valve after an early prototype exploded during a presentation. (Ooops.) Because this closed-lid cooking system had the ability to break down, well, bone, Papin referred to the machine as a "Bone Digester" (other names included the "Steam Digester" and "Papin's Digester"). After Papin pressure-cooked a full meal for London's Royal Society in 1682, the pressure cooker's success was set in stone, sort of. It just took a while — centuries, in fact — for the machines to catch on in home kitchen. Papin's discoveries were used more for industrial endeavors, such as steam engines, until the first commercially-available pressure cookers were introduced to the public at the 1939 World's Fair. These machines, manufactured by the National Pressure Cooker Company (now National Presto Industries), were crazy-popular throughout the first half of the 20th century, but eventually became eclipsed by prepackaged frozen foods and the even-more-convenient microwave. By the late 20th century, these stovetop pressure cookers were mostly the denizen of home canners, who used them to process meats, tomato sauces, and other low-acid foods. Things started to change in the 21st century. A rise in interest in from-scratch cooking coupled with a distrust of commercially packaged foods (and microwaves) set the stage for an old-is-new-again culinary apparatus. 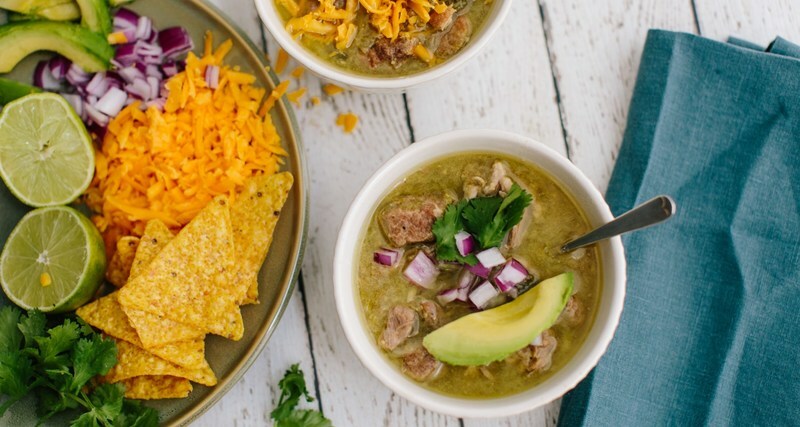 In 2010, a team of Canadian technologists debuted the first programmable Instant Pot, a countertop electric pressure cooker that took all of the guesswork out of pressure cooking. 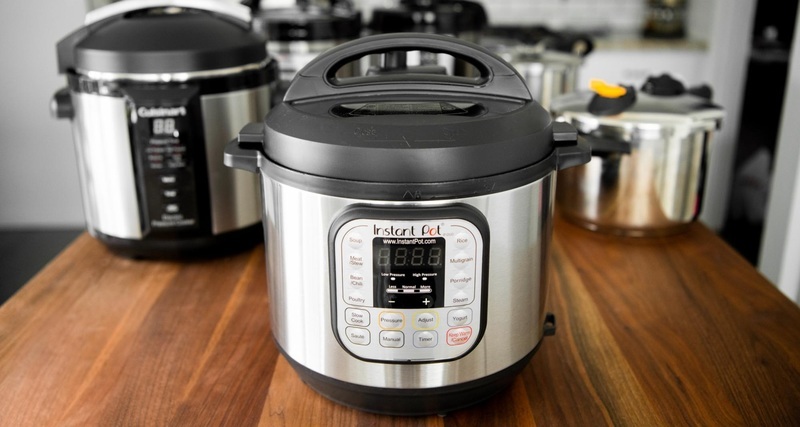 The first Instant Pots included settings for pressure cooking, slow cooking, rice cooking, steaming and warming; more recent models include searing and yogurt-making (essentially just very low temperature slow cooking) functions. The set-it-and-forget-it characteristic of Instant Pots is their greatest advantage; stovetop pressure cookers require a bit more know-how and slightly more attention while you're using them. But at their core, any quick-cook setting on an Instant Pot does just what Papin's first pressure cookers did — trap steam, raise temperatures and cook your dinner in a jiffy. 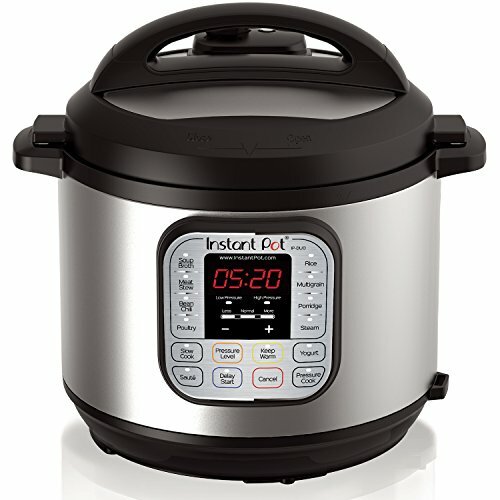 What should I cook with my Instant Pot? 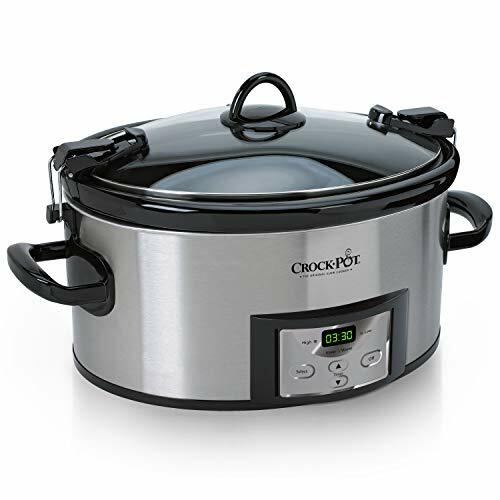 While fanatics will tell you that you can cook almost anything in an Instant Pot, the truth is that, like slow cookers, microwaves and sous vide devices, there are are certain dishes and styles of cooking that are best suited for pressure cooking, and many others that simply aren't. Pressure cooking is a wet cooking method; it needs a liquid in the pot to boil and create steam in order to do its thing. Braises, stews and soups are therefore all good candidates for pressure cooking. You'll also want to consider the main ingredients that you're pressure cooking. Generally you want to look towards tough cuts of meat full of connective tissue, such as chuck roast, pork shoulder or anything you'd otherwise cook low-and-slow. Pressure cookers are great at breaking down those connective tissues into gelatin, which creates that wonderful, mouth-coating texture in the greatest braises and stews. They also render those toughened muscle fibers to fork-tenderness far more quickly than you can achieve in an oven. Likewise, pressure cookers are excellent at producing nutrient-rich stocks in an hour or so; breaking down the collagen and gelatin in bones on the stovetop takes the better part of a day. 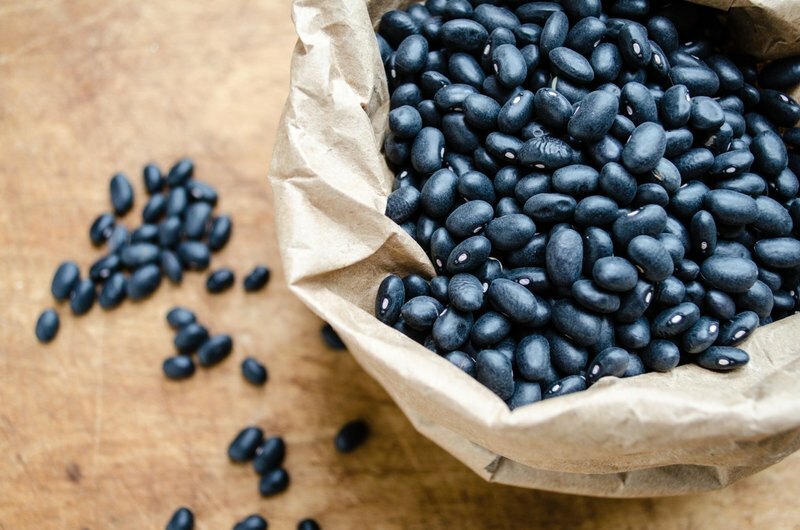 Another great use of a pressure cooker is to cook beans and grains; high pressure helps to quickly gelatinize their starches and soften their fibers in about one-third of the amount of time as they would in normal conditions. This means that dried beans can be cooked in less than 30 minutes, no soaking required. Drier cooking methods, such as "baking" are, however, not the best use for an Instant Pot or other pressure cookers. Take those "cake" recipes you see elsewhere on the internet with more than a few grains of salt. Similarly, functions like the yogurt-making aren't actually any more convenient than traditional methods, and at least one tester has found that the results are inferior made in an Instant Pot. And you never want to pressure cook anything you'd expect to serve with a crisp exterior. No Instant Pot "fried chicken," please! 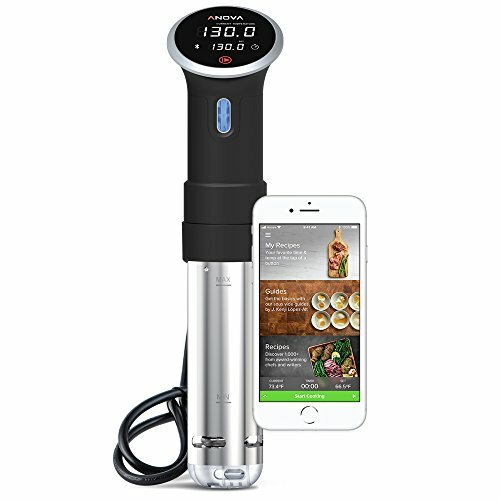 As with any trendy cooking apparatus, it is best to rely on third-party recipes from resources that aren't just chasing clicks. And use your gut — does a recipe sound like it would actually improve in an Instant Pot? Try it out. If it sounds borderline insane, maybe not.